In 1960, Mr. Welch joined GE as a chemical engineer for its Plastics division in Pittsfield, Massachusetts. He was elected the company’s youngest Vice President in 1972 and was named Vice Chairman in 1979. In December 1980 it was announced that he would succeed Reginald H. Jones, and in April 1981 he became the 8th Chairman and CEO. He served in that position until he retired in September 2001. As CEO of GE, Mr. Welch’s management skills became almost legendary. He had little time for bureaucracy and archaic business ways. GE saw great growth and expansion under Mr. Welch’s leadership. Through streamlining operations, acquiring new businesses, and ensuring that each business under the GE umbrella was one of the best in its field the company was able to expand dramatically from 1981 to 2001. In 1999, Fortune named him the “Manager of the Century,” and the Financial Times recently named him one of the three most admired business leaders in the world today. 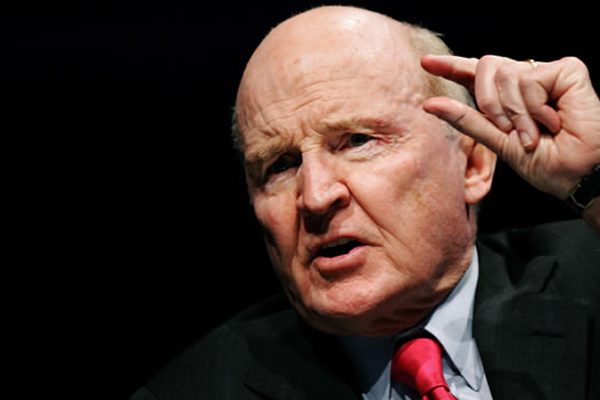 Mr. Welch is currently the head of Jack Welch, LLC, where he serves as Special Partner with the private equity firm, Clayton, Dubilier & Rice and is a consultant to IAC (Interactive Corp). He speaks to business audiences and students around the world and also teaches a leadership course at MIT’s Sloan School of Management.